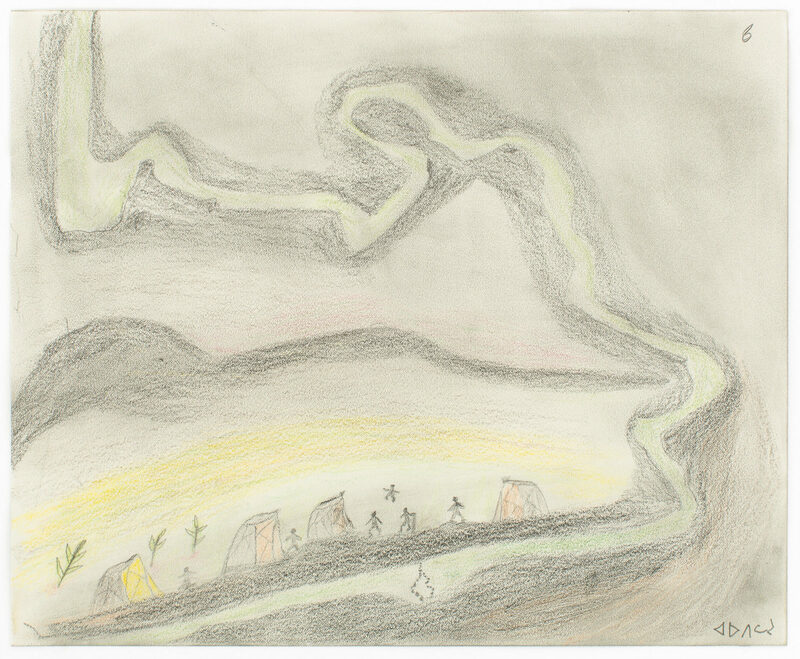 untitled (summer camp with people and spirit), 2005, color pencil, graphite, paper, 11 x 13.5 in. 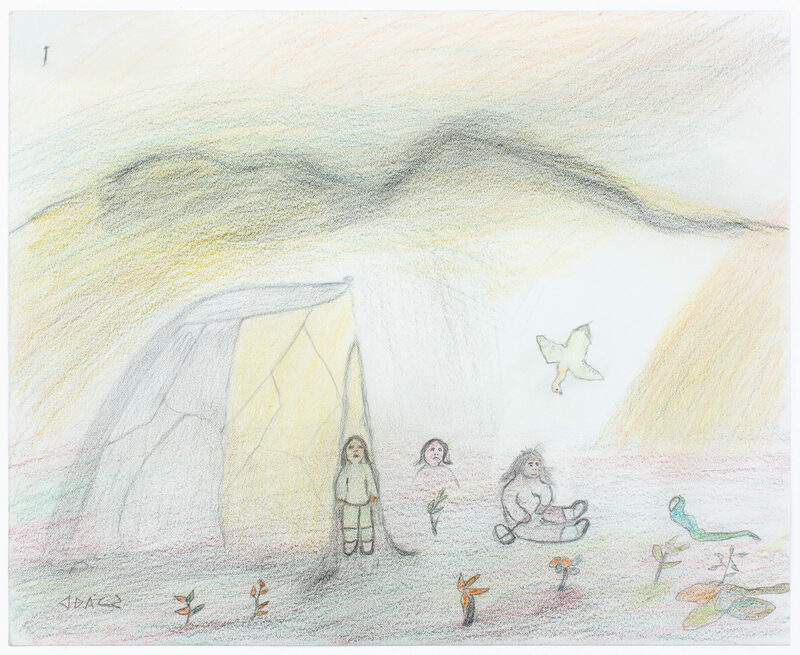 untitled (people frightened by igloo spirit), 2005, color pencil, graphite, paper, 11 x 13.5 in. 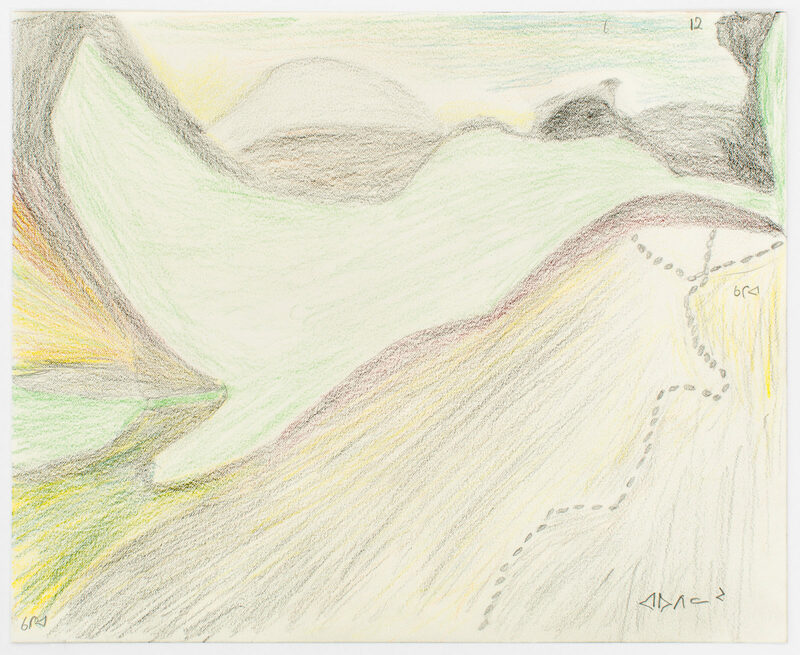 untitled (camp with fish weir), 2005, color pencil, graphite, paper, 11 x 13.5 in. 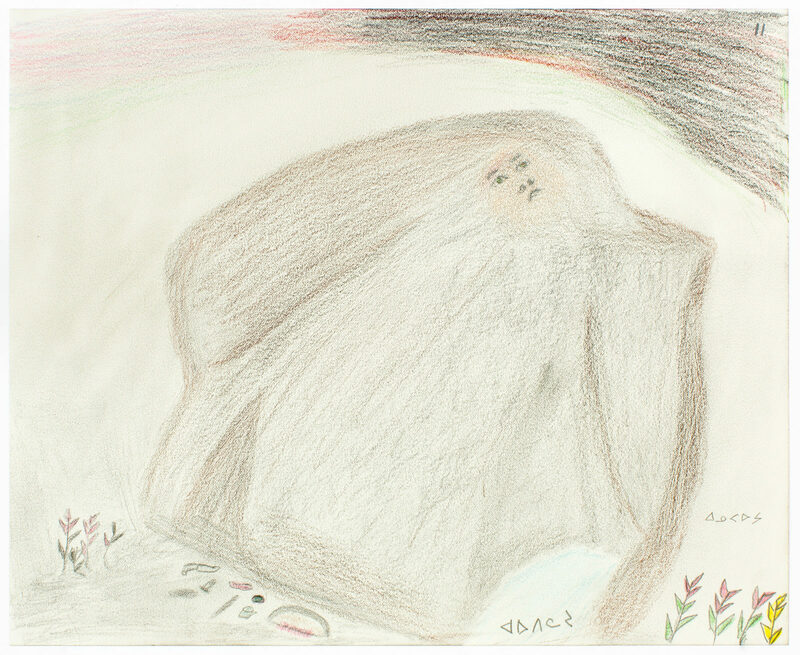 untitled (woman who turned into a boulder), 2005, color pencil, graphite, paper, 11 x 13.5 in. 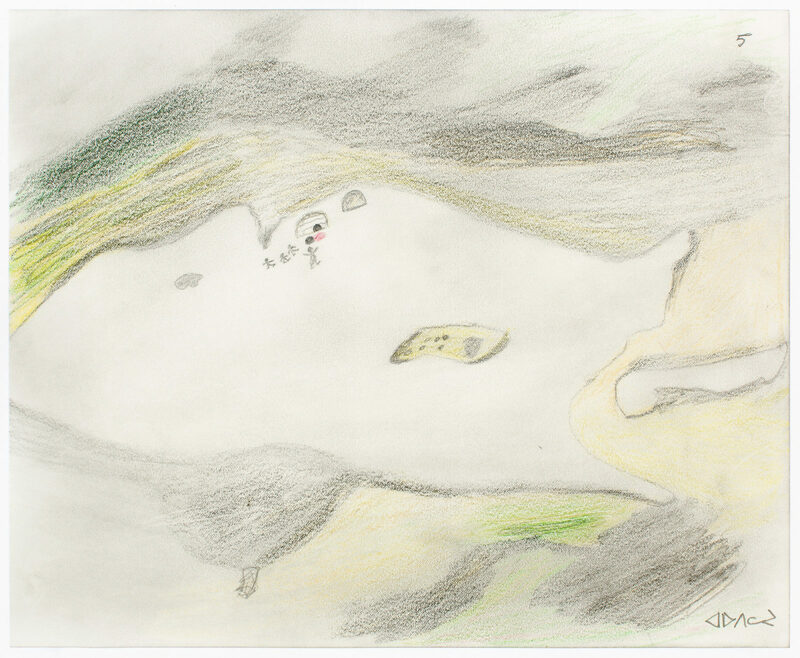 untitled (footsteps of the woman who became a boulder), 2005, color pencil, graphite, paper, 11 x 13.5 in.